On 9 April 2012, the lives of Kevin Systrom and Mike Krieger were about to change forever. That day is the date Facebook acquired their little company, Instagram, for $1 billion in cash and stock. Back then, Instagram was an increasingly popular social network among teenagers and young adults, but few imagined what it would end up becoming a few years later. Nowadays, with a value of over $100 billion, Instagram has become one of the most popular social media channels not only for millennials but for businesses as well: more than 25 million worldwide businesses currently have a professional profile, and more than 2 million advertisers use it to generate more traffic and sales. We can testify to the power of Instagram marketing: with more than 1.4 million followers, Instagram has allowed us to attract hundreds of thousands of site visitors, launch multiple courses and get thousands of new subscribers on our email list. All thanks to one app, one social media channel, and a few posts a day. If you want to take advantage of Instagram’s power to build an audience, drive large volumes of traffic to your site, and generate more qualified sales, this guide is for you. Every single post you publish on your Instagram account has to be engaging. You want people to like, comment, and share your posts until they think of your brand as a friend of theirs, not another brand. Here’s how you can position your content and make it more engaging. 1. Focus on your audience and their desires. All marketing professionals live and breath the same mantra: understand your audience. Read any article about marketing strategy, and you will see it starts with customer or market research, persona development, and other tactics that focus on getting to know the audience. This is no exception with Instagram. If you want to have a popular account, you need to create content that speaks to their hearts. The best way to know your audience is by first checking the existing demographic statistics done on Instagram’s users. According to data taken from Statista, the great majority of users belong in the 18 to 44 age range, with 68% of users being females. Such data isn’t surprising, because Instagram has always been known as a youth-focused social network, in contrast with the more professional LinkedIn or the more heterogeneous Facebook. Also, it’s interesting to note 80% of Instagram users come from outside the U.S. If your store gets large volumes of traffic from Instagram but you get few conversions, the fact they can’t get your products shipped may explain it. At the end of the day, marketing on Instagram works like any other channel. Start by having a deep understanding of your audience first and the rest will follow. 2. Review your competitors’ top content. An easy way to find what kind of content rings closest to your audience is by analyzing your competitors’ content. We’re not suggesting you need to copy their posts, style, or ideas. Rather, you want to find what works best for them and look for patterns that guide you to potential elements to add to your posts. If you take a look at their profiles, you will find they don’t publish often. Sometimes they publish every day, but only once, and sometimes they don’t publish for weeks. While most of their posts are engagement-focused, they don’t mind mixing a few promotional posts every so often. Purple, for example, shares a discount for one of their mattresses. Finally, they all use social media video marketing and have professionally-edited videos in their feed. We particularly liked some of the more promotional videos, like this one from Purple. With this simple analysis, we have found that all of our large competitors don’t publish often — which is great for us as publishing consistently matters — they all use professional photos and videos, and they all mix promotional and engaging content. The competitor analysis you carry out will show you what’s the minimum level of content quality you need to publish. Most importantly, it will tell you what people already like. Your Instagram profile page is the equivalent of your home page. It’s the place where you explain, in just a few sentences, what your brand is all about. The way you structure your profile page will have an impact on the way people will find about what you do, who you are, and what you have to offer. While you don’t have large editing capabilities — you can only edit the logo, the bio, and the URL — the way you put these three elements in place can have a large impact on how your followers will perceive your brand and how much traffic you can attract. 1. Create a compelling bio. Have you ever been in a networking event, when someone handed you out a business card? What did you see in it? The name of the person, their position, their contact information, and maybe some words describing what they do or who they are. Your bio works the same way. It is the summary of your brand’s identity. The fact that you don’t have more than 150 characters to use makes it more powerful. The less you say, and the better you structure that, the more powerful your message will be. 24 words. 145 characters. Not a lot of space to explain who we really are, is it? Indeed, we can’t explain a lot in there. But instead of using that as a limitation, we take that as a way to go straight to the core of our mission: helping entrepreneurs build a business. Your bio should achieve the same goal as ours. To start, grab your value proposition, your brand values, and any other key element that makes your company’s mission. Take all the information and compress it as much as you can. Imagine for a second you ran Andie’s Swim, a women’s swimsuit company. If you take a look at their about page, you can see they talk a lot about swimsuits that fit, the vulnerable experience women have in swimsuits, and they are a female lead company. Luxury swimwear made for women by women to create a more enjoyable swimsuit buying process that is easy with free shipping and free returns. Not a bad start and we’re only at 140 characters long. We hit the mark pretty close. 2. Add a keyword that is highly searched and matches your brand. Keywords are well-known among SEO professionals but are rarely mentioned in the social media world. It turns out, adding a keyword or two to your profile can help people find you when they search on Instagram. If you have done your keyword research, then take one of your high-traffic keywords and add it on your profile. While Google and Instagram are two separate worlds, it’s highly probable that the search volume a term has in the former will replicate in the latter. 3. How to use Instagram copywriting tips to attract visitors. Despite the character limitation, you can use your bio to attract visitors to your site with the help of a few copywriting tricks. You may roll your eyes whenever you read such a copy, but the reason why marketers use that structure is because it works. Copywriters call it the PAS system: Problem, Agitation, and Solution. With the PAS system, you start by mentioning the problem your audience has, then you agitate it by talking about it a bit more, focusing on the details of the pain, and then you present your solution. Since you have little space in Instagram’s bio to use the three elements, you can still mention the problem and go to the solution. That’s probably the main problem most first-time entrepreneurs face. They want to do it, yet they see all the hurdles they need to go through to make it. We’re a digital media company that produces epic content for startup foundrs & entrepreneurs. 👇 Get our FREE magazine! What’s best is that in this case, the solution (epic content for our target audience) fits perfectly with the CTA. Another option is to mention the value proposition or your brand values. Simple, yet effective, particularly if your value proposition speaks to your target audience, like in the case above. Finally, you can use your tagline, which also represents a summary of your value proposition. This works best when a company is already well known and has a distinctive brand. Your call-to-actions (CTAs) are what take your followers from your profile page to your site. The idea is simple, yet to make them work, you need to have something that makes the CTA relevant and interesting for your followers to act on. Before we mentioned our free ecommerce guide offer, which is something our audience wants and needs. As an ecommerce store owner, you can offer or mention a discount, as Sub-Zero Superfoods does. You can also get creative and use it in many other ways. For example, The North Face features a link in their bio that sparks curiosity. After you click on it, you’re taken to a page where you can find the perfect backpack based on your gender, size, and type of backpack you prefer. Urban Outfitters also takes a creative angle to their CTA. It starts with what seems a non-commercial link. Surprisingly, you are taken to a page full of user-generated content. Once you click on one of the images there, you can buy the product shown in it. Another interesting and highly engaging way to increase sales. When adding a URL, it’s best to use a short link — like the ones you can create with Bitly — that redirects to a special URL which you can then use to track the number of visitors you get from that link and their behavior on your site. To do so, go to Google’s Campaign URL Builder. Then, grab your destination URL and add it to the first box. Fill at least the first two of the boxes that will allow you later to track them on Google Analytics. If you are going to promote that same page in other channels, you may also want to add more context with the other three boxes below. Vans shows us an interesting example of how you can use shortlinks intelligently. After you click on their link, it takes you to a beautiful landing page to become a “Vans Family member” which earns you the right to get personalized shopping experiences, loyalty points, and much more. Also, check the tracked URL they use. Publishing engaging content is the heart of a successful Instagram marketing strategy. Your followers want content that interests them; content that plays to their needs and desires. What kind of content should an ecommerce store owner then publish? Here are seven ideas you can use. The main challenge between an online store and their brick-and-mortar counterpart is that in the former people can’t touch or try a product. Your visitors may love your products, but they need to know how they look and feel like in real life. Showing people using, trying, and enjoying your products is a way to solve such a problem. Better yet, it shows the brand is human and relatable; it shows people actually like and use their products. All the successful ecommerce sites we analyzed throughout this guide feature people — whether customers or models — using their products for that same reason. SkullCandy is one of the most unique companies thanks to its eccentric branding. In almost every post, you can see the experience they are creating through their photography, video promos, and even snippets from interviews with artist like Topaz Jones. The Honest Company also shares plenty of pictures of babies and their mothers, their main customer audience. Not only this is good to showcase their products, but it also helps to hit hard on their brand. We could talk about all the reasons why people like following brands on Instagram. But if we had to choose the main reason, it’s authenticity. No one ever stops to read (or even enjoy) a billboard. Yet they do so on Instagram. We can discuss Instagram’s posts aren’t ads per se, but still, they are branded communications. From all the ways to convey such authenticity, posts that show “behind the scenes” situations feel the most real. In such a post, a brand isn’t behaving like one but showing the “rough edges” of their company. In this example, you can see Paper Source, a premium paperie online retailer, showing their latest designs. While there’s nothing particularly exceptional about this post, if you compare it with the rest of their feed, it looks like a photo a person would have taken and not a brand, which makes it unique and different. Golf apparel company Cutter & Buck likes showing their products through high quality imagery. In this post, however, they show their team behind the scenes at a golf expo and at Top Golf, which looks as if one of your friends had taken these pictures. Another way of becoming more authentic on Instagram is by engaging directly with your followers. Asking questions and getting users to tag a friend are two examples of such kind of posts. A fun and light-hearted post like the one you can see from Forever 21 works great, particularly for a company that targets young females. J/Slides, a footwear company, shares posts which helps advertise their promotions and sales. Despite the fact Instagram started as a photo-sharing app, nowadays video has become a large part of their business. Last year, Instagram found the time people spent watching videos went up more than 80% compared with 2016, while the number of daily videos produced increased 400% in the same time frame. One company that does video brilliantly is Nike. As expected from a brand of their size and fame, the majority of Nike’s feed are videos, including interviews with their stars, like Cristiano Ronaldo. DJI, the largest drone manufacturing company, uses Instagram to share the fantastic shots their drones film. Most of their posts are videos for the obvious reason DJI specializes in video-filming products. So far, we’ve talked about posting with the aim of engaging your followers. But what about your products? Can’t you post about them? You definitely can (and should!). We just wanted you to think about Instagram as more than a marketing channel where you promote your products and more as a way to connect with your followers. Now, when it comes to posting your products, you should still strive to connect them in a light and non-commercial way. Lifestyle photos don’t focus on your products so much as a way to represent the ideal life your followers could have with your products. Revgear does a great job of capturing some great fighting lifestyle photography. Take a look at their feed. All the pictures and videos in there represent the way you can use their gear in your training and MMA fights. Another company that does a fantastic job using lifestyle photos is the Swedish clothing retailer H&M. Instead of showing their product photos as they do in their store, they show their products in a fashionable way. People like doing what other people like doing. Does this sound like a riddle? It’s not. It’s the power behind user-generated content. You can spend a lot of money taking the perfect product photo, like you saw in the examples above, but they will still look like an advertisement. When an Instagram user is scrolling through their feed, they see their friend’s photos, and they all look natural yet imperfect: the lighting isn’t good, the angle of the photo isn’t correct, and so much more make the product look very real. Leveraging user-generated product photos allows you to show your customers using your products, and at the same time, showing them in a personal way. ASOS, the British fashion retailer, is well-known for featuring a user-generated photo every few photos they publish. Interestingly enough, they also show the number code for the product used in every picture, making it easier for their followers to find their products. Glossier, the cosmetics company, likes to share how their customers use their makeup, and most importantly, which products they use. There’s a lot to be said about ecommerce product photography. In Instagram, however, the photography doesn’t work the same way. You don’t have to pick up your product, put it on a white background, and take a few shots from different angles. You don’t want your products to look flat like in an ecommerce store; you want your products come to life. Instagram is a social network, after all, not a commercial one. If your photos don’t speak to your followers, they will ignore them. All successful companies mentioned in this guide have one thing in common: they know how to take post photos people want to look, share, and comment. 1. Create a cohesive branded theme. The way you present your Instagram feed matters as much as your website design. The only difference is you can’t edit the theme of your Instagram feed like you can on your site. If you post images that share a similar theme, however, you can generate the same result. When publishing, pick a few specific filters (which can be the ones Instagram offers or some which you develop) and use them every single time. Consistency is the goal; the closer the theme your images share, the better. By theme, we refer to a specific color palette, words, hashtags, and the look of your images. The products are laid out similarly. The background images have a basic color with a similar hue. The copy in the last two images is similar. While none of these elements are too obvious, if you look at them all together, they share a similar feeling. That’s the brand consistency they want to transmit, and that’s the goal you should achieve in your profile too. Clarks Australia, a shoe company, also uses a similar theme built around minimalism, clean, simple product layouts. Decibullz does a great job of capturing their products in action. Their photos share a similar style in composition, color correction and color grade and shows how their products work when their customers are shooting, hunting, working out, or working on cars. By making your photos share the same elements, you can make your profile represent your brand truthfully. 2. Tell a story with your images. Before you think about uploading a photo to your feed, stop and think about your followers. You need to think like one of your followers and ask if what you want to show them is the kind of content they’d like to see in their feeds. Sure, you may want to show the awesome way your products help your customers live a more comfortable life, but that’s not what you should do in a social (i.e., non-commercial) media like Instagram. What your followers want to see is something that’s more than a product. They want to see the real you. That is, the brand behind the company. They want a transparent and honest company who can express itself through their pictures. That’s where storytelling plays a crucial role in connecting your products with your followers. They show a company who likes outdoorsy people, people that like hunting, ranch life, and modern cowboy activities. Those “people” are their customers; their current and potential customers. The image they project through their feed — the story they tell — lets their followers feel identified with them. Developing such a story isn’t hard. It takes a deep understanding of your brand and your customers’ values. Your posts then need to connect that ideal with your products through your photography. While the photo shooting and editing techniques are a world on their own, what matters isn’t how you take a picture, but what you show in them. Decide the kind of emotions and ideas you want to express through your photography. Take a look at Olympic Dairy, a Canadian manufacturer or organic dairy products. What you see in there isn’t nothing that you couldn’t take with your iPhone. With the help of one app, you can edit your photos and publish them pretty fast. Yet the feelings they embrace in their picture go beyond their yogurts and focus on a healthy and organic lifestyle. What matters, as explained above, it’s the consistency of the message your photos share, which make up the overall theme of your brand. 3. Find the right posting schedule. Every one of your followers uses their account differently. Some follow thousands of people and use the app all the time. There’s no time they aren’t looking at their feed: while they eat their breakfast, during their commute, at work, before they go to bed, and more. Some others will have a more passive attitude towards their account and check it once or twice a day, just for curiosity’s sake. Whatever their behavior, your goal is to show up in their feed as often as possible. You don’t want to be in their feeds every 5 minutes — that’d be considered “spammy” — but you don’t want to be that account they don’t remember why they follow either. Your goal is to publish often, every day at least a few times a day or more at the times your followers are most likely to use their app. While there’s a lot of guessing involved, that shouldn’t be a reason not to post often and increase your reach. According to a paper from Union Metrics in which they analyzed 55 of the top-performing brands on Instagram, the ones that post more than 3 times a day haven’t recorded a drop in engagement. Of course, this number isn’t specific to every brand in every industry, but it shows that you shouldn’t be afraid of publishing regularly. The contrary can be worse: if you publish 3 times a day and then stop for a while, resuming with a less frequent schedule, you will likely face a loss in terms of your engagement. If you make a habit of posting several times a day and then transition to only a few times a week, you will start to lose followers and generate less engagement per post. The solution he recommends and the one to which we subscribe is: starting small and growing slowly. The best posting frequency for Instagram is the posting frequency that you can consistently maintain for the rest of your natural life. As it always happens in this cases, you will find the most optimal post schedule through testing. Start small publishing a few times a day up to the point where you can create engaging content without problems. I don’t recommend publishing more than 10 times a day. Once you start getting more followers who engage with your content, you can increase your publishing schedule. Analyze the results with the help of Instagram Insights, which is only available to business account, and see how people react to your posts. If you see your follower count continues to rise along with your engagement rate, you can conclude your post schedule works. Before you can start raking your visitors from your account, you first need to have a substantial list of followers. The ultimate goal isn’t to have the largest amount of followers; rather it is to have the most engaged audience you can possibly have. It’s better to have 1,000 highly engaged followers which visit your site every time you post, than 100,000 which rarely even takes notice of your post. Next, we’ll show you two tactics you can use to start attracting more followers to your account, both ethically and efficiently. “[the] idea that conveys a particular phenomenon, theme or meaning,” as biologist Richard Dawkins explains. The modern world of social media. They represent the ability any social media user has to find a topic, an idea, or a “shared belief” at any given time. When people search for a hashtag, they don’t want to find a product (like one of yours); they want to find a solution, a painkiller. Or maybe they just want to find something that entertains them, like a cute cat video. When you use a hashtag, you aren’t optimizing your post like you do when you change the title tag of one of your product pages. You are trying to connect your post with that same shared feeling people have around that hashtag. Finding hashtags goes beyond adding the fifty most popular ones and call it a day. You need to find the hashtags that work best for your brand and your given post. The right hashtags will help you reach new accounts and get more people to interact with your content. When used correctly, hashtags can help you get more likes, comments, and followers. A simple way to find hashtags is to use the search bar. Pick a few words that are connected with your account and see what results you get. As you can see, there are a lot of results with high volume of posts. While you want to consider using all of the hashtags that seem relevant to your posts, you also want to make sure you are attracting the best crowd. Some of these hashtags may not be that good, so double check each hashtag before you use it. For example, after clicking on #entrepreneurial, I found most of the posts are similar to the ones we publish in our account. On the other hand, I checked #creativeentrepreneur, which has almost 800k posts, and I found the posts in there aren’t any good. Repeat the process for every hashtag you consider using. To speed the hashtag search process, you can use a tool like Hashtagify. This tool will give you not only what hashtags are popular, but also the weekly and monthly trends, the top influencers that use it, and much more. Such analysis provides much more in-depth data that you can use to find more relevant hashtags. Consider picking hashtags beyond their high volume. While #entrepreneur has 33 million posts, it’s hardly anyone will ever find your post in such a jungle of results. If, on the other hand, you use #entrepreneurgoals, the chances of getting seen are much higher. What’s more, the latter hashtag seems much more focused than the former. When picking a hashtag, go for relevancy, not volume. You want your hashtags to represent your posts and your brand. After you finish the research process, you should have a list with all the hashtags you will use. The list will grow over time as you find new hashtags. Some may stop being popular, while new ones will appear. If you want to take this process even further, you can consider testing using more (or less) hashtags than you usually use and see what results you get. With the help of your Instagram Insights, or a separate tool like Iconosquare, you can see if using a specific set of hashtags lead to an increase in your reach and engagement rate. When it comes to using hashtags, there are two schools of thought. The other one says you should use hashtags separately from your posts in the first comment. The question now becomes where to put them, in the post itself or in the comments? There’s not really a difference. Instagram will neither penalize you for using 20 hashtags in your post or in the first comment. The only question you can ask yourself is: do you want your post to look overcrowded with hashtags or focus on the message you are trying to convey? We recommend using your hashtags in the first comment. By putting hashtags in your first comment, you keep the copy clean and clear. What’s important is you don’t overflow your first comment with a huge list of hashtags. As said before, hashtags represent a shared feeling around an idea or topic. What if that idea is your brand? How powerful would that be for your company? Branded hashtags are used when a company wants to get people talking around their brand. Unfortunately, this is easier said than done. It’s not like you will create a hashtag that says #MyBrandIsAwesome and people will share it. We wished it was that easy! If you own a brand as powerful as Rolex, you can get people to proudly use a branded hashtag like #RolexCollector. But you don’t own Rolex, and your brand is probably not nearly as known as theirs. In that case, you want to create a branded hashtag in specific cases, like a product launch, an event, or a promotion. The first aspect to consider when using a branded hashtag is the number of followers you have. If you currently have a few thousand followers and your posts get low levels of engagement (i.e., few comments and likes in relation with your follower number), does it really make sense you create a branded hashtag? Probably not. If you are already observing positive results from your Instagram marketing, however, you want to consider creating one. The best way to consider creating a branded hashtag is to think what you are promoting and what you want to achieve from that promotion. BarkBox, a company that sells subscription boxes for dogs, created #BarkBox and #BarkBoxDay. These hashtags aren’t creative, but they fit perfectly what they promote: their boxes. Since people (and their dogs) wait for the boxes to arrive, the idea of creating a “Bark Box Day” makes sense. What’s more, the hashtag fits amazingly well on this funny post. Forever 21 uses the #ForeverBabe hashtag for their customers to tag themselves and get featured in their feed. That hashtag has generated almost 10k posts, most of them being from customers and fans of the brand. Reciprocation is one of human’s most basic social instincts. We simply feel an urging need to give back what other people give to us. Does someone like your shoes? You tell them you like their hair. Does someone say they like your writing? You tell them you like their hair. Well, you may not be the most original person complimenting others, but at least you know how to respect social norm. The nature of Shoutouts works based on the idea of reciprocation. An account gives you a “shoutout” — that is, they talk to their followers about your company positively —, and you return their shoutout in your account. Win-win, that’s all there is to it. When you get a shoutout, you get exposure to a new audience that’s (preferably) connected to yours, and you repeat the favor to the other account. With the help of shoutouts, you can quickly scale your following volume without almost fuss. The simplicity on which shoutouts work is what makes them so powerful. While the value given isn’t as high, and therefore the engagement you will receive from the audience, it’s still highly effective. Both campaigns work similarly, in the former you exchange liking a specific post, and in the other you follow someone else’s account. It’s much easier to get a “like for like” shoutout exchange as the task on itself is rather small. Anyone can like a post without much effort. Following an account involves slightly more effort, and thus can be harder to pull off, but it’s more effective as it helps you build a following base. What truly matters isn’t the like or follow per se, but the account which does so. Remember, you want to attract a new audience that’s related to yours, so the account which you exchange the favor with must be relevant. If you are going to do a shoutout with an account with a small audience, then it’s likely they won’t ask for anything in return. The value they get is the same as the one you get: increased exposure. When asking for a shoutout with a social media influencer which has a large number of followers, then it’s likely they will do it as a paid service. The cost will vary upon the size of the following base. Obviously, the larger the audience, the more it will cost you. While you can start a shoutout campaign manually, searching for accounts you like and messaging them accordingly, there are a number of sites which allow you to carry out this process from their platform, including the account information, the messaging, and the payment. Some examples include companies like Shoutcart and Plug Hype. You can also try Fiverr, although by the look of the results, it’s hard to tell the quality and size of the accounts. As it always happens with any marketing activity you carry out, keep a close eye to your shoutout campaigns. If you are going to invest some of your hard-earned money on this, make sure you are actually seeing an increase in your engagement levels and following base. Scale your investment as you see the return back. Once you start putting the time to take high-quality photos and engaging with your audience, you will start to increase the follower base. It’s easy to get overly focused on getting Instagram followers and forgetting the ultimate goal of your Instagram account: getting more sales. A few years ago, the idea of “social commerce” was trending and people had high expectations around it. It turned out, most social networks have had a hard time generating sales for their users. Instagram has been one of the few exceptions. In the past few years, Instagram has been working on a number of features that have allowed businesses to get more customers from their posts. Here are three ways you can tap into Instagram’s powerful sales boosting capabilities. Brands and their customers have historically communicated in a formal, almost impersonal way. The former would use billboards or TV ads to explain the latest product launch, spend millions of dollars, and hope to get people to see their messages. The latter, on the other hand, would see their ads and take them with a pinch of salt. Advertising, after all, is a unilateral: brand sell and customers become sold. With the release of Instagram Stories (which the company copied from the popular Snapchat “snap” feature), now companies can message their customers as if they were one of their friends. The fact a story doesn’t look like an ad (or any kind of marketing communication) is what makes it effective. While your ecommerce store doesn’t face the problems of a Fortune 500 — people actually like buying from a small company with a deep commitment to serve them — you still want to use online advertisement smartly. As we explained before, people don’t use social networks like Instagram to shop; they do it to connect with other people. If you go around Instagram pushing your products, most will ignore you. Instagram stories act as an effective way to talk to your customers — better yet, to connect with them — promote your brand, but keep their trust at the same time. Does this sound too good to be true? It’s not. Instagram Stories are simple to use, yet effective. Here are the most effective ways you can use them for your ecommerce store. Have you ever bought a product because you were told it would stop being available? The reason why this happens is simple: people feel drawn to buy what’s scarce. Anthropologists can explain why this happens, but right now, we want to focus on the consequences of such instinctive behavior. When you position your offers as scarce — whether that’s the time they will be available in stock or a special price in which you are currently selling one of your products — people will feel drawn to act upon them. In other words, scarcity will make them more likely to purchase. Postmates, the popular delivery company, has used scarcity in their Instagram stories by giving away $100 to new customers for only 7 days. Such amount of money for installing their app and signing up seems like a no-brainer, but making the offer scarce gives it less room for passing this offer up and instead of acting on it. You don’t want to be the guy who missed the offer all your friends talk about, don’t you? If you have ever launched a new product, you know how grueling the whole process is. If you design and manufacture your own products, you know finishing the whole process from an idea to a final product is only half the battle. If you instead resell products, you still need to find the products, negotiate terms, get the product ready to sell, and much more. The last thing you want is to launch your product and hear nothing but the sound of crickets. With the help of Instagram stories, you can generate attention before, during, and after the launch of a new product. In this example, Bien Cuit Bakery does a fantastic job of creating a series of stories all tied with the launch of new baked products in one of their stores. They first start by building some interest, then they show the product they’ll launch, and then they showcase the location. The one thing social media channels have in common is they all let companies “loosen up” their strict brand appeal and act like regular people. Everyone knows they are still companies, but at least they look more real and relatable than in traditional ads. The core service Instagram provides you is to use that appeal and engage with your community. To this extent, Instagram stories are a wonderful way to make your company show an original and fun side. Instagram stories used to have an Achilles heel: users couldn’t click on a story and go to a website. Nowadays, Instagram has added a simple functionality which lets you act on a story without sacrificing any usability: swipe ups. The idea behind swipe ups is simple: when your followers see a story with a link (or one that links to a page), they can swipe it up and be redirected to the link. Follain, for example, uses a mix of value-added offers (and you can even consider it as scarce) with swipe ups to get people to visit the product page with the offer. Polls have been a recent addition to the current list of Instagram features and which provide a much interesting way of connecting with your followers. When you create an Instagram story, you can use the poll sticker to survey your followers about anything related to the story itself. The idea behind polls is to engage your audience and play with a much richer set of tools that will increase the rapport you have with them. The idea of looking at a product in a social network and buying it right from a post has always been a dream for most ecommerce store owners. Ever since Instagram launched their Shoppable Images, that dream has come true. Now, you can make people see what products show up in your posts, and make them visit your product page right from their Instagram app. When we launched the feature, we experienced a 25% increase in traffic and an 8% increase in revenue attributable to shopping on Instagram. The first step to getting started using shoppable images is to get Instagram to approve your account. Connecting your Instagram profile to your Facebook catalog. Fortunately, you can get this done right from your BigCommerce dashboard. Once you have been approved and have everything in place, the last — and most important — part is to tag your products in your photos. Before you publish your next post, you will see below the option to tag your products. Once you click that button, you will be able to choose the specific product from your catalog to tag in your post, and to which your followers will be redirected once they click on it. When you get started, it will be tempting to add the regular product photos you show in your store. Such action, however, would be a mistake. Remember people don’t want to use a social network to buy products, but to socialize. A big duh, right? Maybe it is, but it can be easily overlooked. Earlier in this guide, we talked about the importance of using lifestyle photos; photos that show the way your customers use your products. That’s the perfect moment when you want to use a shoppable image. The idea isn’t to sell right away, but to make it all about your customer experience your products. Getting the attention of an audience which doesn’t know you can be a highly costly process. You can easily get more visitors with a Facebook Ads campaign, but since they don’t know you, they will have a much harder time to trust you, and thus buy from you. Imagine if you could imply all your new visitors you’re trustworthy, your products are high-quality, and they’ll love buying from you. You can with the help of influencer marketing. When you use influencers to promote your business for you, you’re basically borrowing part of the authority and trust people have in them to your brand. An influencer helps you boost your brand’s reach in a natural, non-promotional way. Even if the influencer uses and explicitly recommends purchasing your products, it doesn’t feel like an ad. When Birchbox partnered with Lindsay Ellingson, an influencer with 874k followers in the cosmetics industry, they got to promote their products in a friendly and useful way with someone their followers already like and trust. With an estimated industry value of $1 billion, influencer marketing is and will continue to be a powerful way to promote your products on Instagram. Despite all the hype around influencer marketing, one of the most significant challenges companies face is finding influencers with whom to work. There are thousands of accounts in almost every industry imaginable that have a large following, yet that doesn’t make them a good target for your influencer marketing campaign. Before you start working with an influencer, you want to know what you want to get from them. In our case, we want to increase sales, but if you have another goal, then your strategy will look differently than the one laid out here. With the goal in mind, develop a one-sheet media kit with an overview of your brand. The idea is to have a document prepared to send the influencer before you get started working so they get informed around everything they need to know about your brand. When you start looking for influencers, don’t focus on the like and comment quantities, but on the engagement rate. A post’s engagement rate represents the combined set of likes and comments per post, divided by the total following number. To find influencers in your industry, you can start searching for popular hashtags in your industry and looking at the accounts with large number of comments and likes, which are usually at the top of the results. Make a list of the influencers you find, and after you have at least 10 to 20, create the pitch you will use to contact them. John from My Company here. We love the content you post. It looks aligned with our brand and audience. We’d love to work with you in an upcoming campaign we’re working on. Would you want to hear more? Send me your email and I will send you more details. It’s a simple pitch, but it lets you start with the right foot. If you see the influencer shows her email right in her profile, it’s better to use it, as it looks more professional and you can manage the conversation better through email. In the case you don’t find their email, send them a direct message asking for their email so you can continue the conversation there. When you talk to the influencer (on email or in a call), tell them explicitly what they’ll get in return from your collaboration. In some cases, they will only get a free product, but in many others, they’ll want to try — or even keep — your product plus a payment for their service. The pricing question can be tricky, as it will depend on your product, the influencer’s audience size, and the industry. According to Influence.co, the average cost for a sponsored post was $271, although there’s a large variation by industry. Most likely, the influencer will have a price sheet she will be able to share, where she will explain what you will get for the type of post you decide to use. While you can always try to negotiate, in most cases it will be hard to get an influencer to discount you unless you pay for a large amount of post in advance. Whatever the price, be clear with what you want the influencer to post. For example, there are cases in which the influencer only publishes a selfie with your product. In some others, however, they will talk about your product — in the post copy or in a recorded video — and provide a specific call-to-action to purchase. Whatever road you choose, you want to be clear on what you want them to say and do so there are no misunderstandings. After the influencer makes the post (or number of posts, if that’s what was decided), check your follower growth, engagement rate, and even site traffic. While the latter is the hardest, if you create a special short URL for the influencer to use, you will be able to track their followers’ behavior. It’s common to think influencer marketing is only for famous people like Cristiano Ronaldo, but that’d be wrong. Having a celebrity feature a product is called an “endorsement,” and it’s an old marketing practice. While you can use a celebrity to endorse your products, not only do such task would cost you thousands upon thousands of dollars, they relevancy of your offer will not necessarily be ideal. Think about it this way: it’s better to get a “micro-influencer” (i.e., a celebrity in a niche) to promote your product to 1,000 highly engaged followers than a celebrity with 500,000 uninterested followers. Some micro-influencers will even partner with you in return for free product, especially if they already love your brand. A survey Collective Bias carried out on 14,000 US respondents showed 30% of consumers are more likely to buy a product recommended by a non-celebrity because consumers can relate more to these influencers and value their opinions more than that of celebrity influencers. What’s more, only 3% of the surveyed consumers said to be influenced by celebrity endorsements when making a product purchase decision. We’re not saying you shouldn’t consider using a celebrity; rather, you should start with micro-influencers, test your offers, audiences, and budget, and find what works best. After reading the previous section on increasing your follower count, you are likely to end up focusing on that metric alone. That’d be a big mistake for a simple reason: one highly engaged follower is more valuable than hundreds of disengaged ones. Your ultimate goal is to attract the right audience with whom you communicate. Most importantly, you want to find a group of people who are more likely to become customers. Before we end, we want to give you two final tips to create a community of fans around your Instagram account. 1. Pay attention to engagement. As we said before, when it comes to Instagram marketing, engagement is the name of the game. You can calculate your engagement rate manually or with the help of an Instagram analytics tools such as Iconosquare, Keyhole, and Minter. Similarly, you can calculate your account’s average engagement rate with the help of this useful tool. While 335 likes isn’t something to overlook, with over 35k followers and 0 comments in this post, the performance is just 0.94%. According to data sourced from Iconosquare, the median engagement rate for photos is 2.7%. That means, that post isn’t good at all. The photo is good, but this post has a much higher rate of engagement, with 487 likes, 25 comments, and 9,476 followers, that brings us to a 5.40% engagement rate for this post. 2. Engage with every comment. Think for a second you are one of your followers. What do you see when you open your Instagram? Hundreds of photos, many of which are from your friends. With so many interesting options, why would you ever stop to comment on a brand’s photo? In this context, when one of your followers stops to not only look, but comment on one of your photos, it shows commitment. A comment is more than what it looks; it shows your follower cares enough about you to stop everything and tell you something. Even if that’s a smiley face, the fact they wrote at you matters. Don’t overlook and underestimate the importance of comment. As a consequence, you want to reciprocate this representation of interest with a like. It’s a small task, but it shows you care as well. If you want to make it even better, you can comment back at them. On Instagram, you are more than a brand; you are one of your follower’s friend. Act like one. Since the late 90’s, everyone is aware we’re living through the revolution of online commerce. The time has come from many brick-and-mortar stores, and the ecommerce era is up. Such changes haven’t come without a few glitches. Now that people have the chance to buy anything they want with just a few clicks, they feel another problem: isolation. It’s great to make purchases online, but it’s not the same without having the chance to enjoy the products, share them with your friends, and discover what brands are really about. Instagram has solved that problem by bringing the social element that online stores were missing. Most importantly, it has transformed companies from mere corporations (legal entities), to human-like beings. 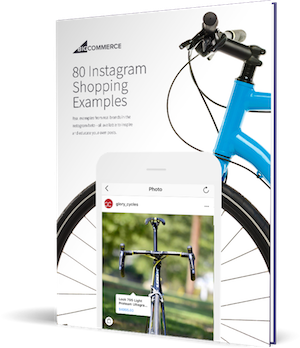 With the help of Instagram marketing, your ecommerce platform can connect with your followers — who also are potential customers — and drive a level of human trust that stores lost when they crossed to the other side of the screen. You need to start with engaging content. If Instagram marketing was a house of cards, engaging content would be the base of it; pull it out of your strategy, and the whole house will fall down. The best ways to have a highly effective profile to get more followers and increase your traffic. The 7 types of engaging content that will help you connect with your audience. Whether that’s video, user-generated content, lifestyle photos, or more, you have a wide range of options to use and strike a conversation with your followers. How consistency, storytelling, and finding the right posting schedule can help you improve your follower attraction and engagement. The way hashtags and shoutouts can let you access larger pools of followers with little money and great results. How to drive more sales from your posts with the help of Instagram stories (sorry Snapchat), shoppable images, and influencer marketing, you can forget the whole idea of social media as a “top of the funnel” channel and use it as a “make it rain” channel as well. Finally, remember the basics: it’s all about them. When you look to create engaging content, the engagement comes from a deep understanding of their interest. We can tell you to start by opening an account, but that’d be unnecessary. If you have read 10% of this guide, you’d have already done so already. We could tell you to optimize your profile page, create engaging content, and all the other things we’ve explained so far. Lower your interest in getting more followers, traffic, or sales for one second and just connect. Once a follower clicks with your brand, everything else will follow. Ivan Kreimer is a content writer for Foundr, an online magazine for self-made entrepreneurs who want to learn how to launch and grow their online business. Learn more about how to use Instagram marketing in our free masterclass.